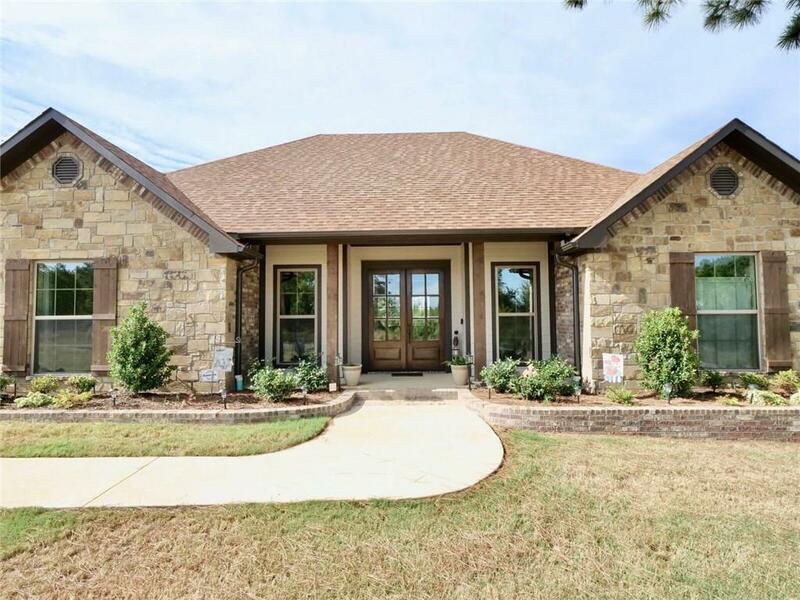 Beautifully appointed 2017 construction Mike Nance home in Iron Mountain Estates. 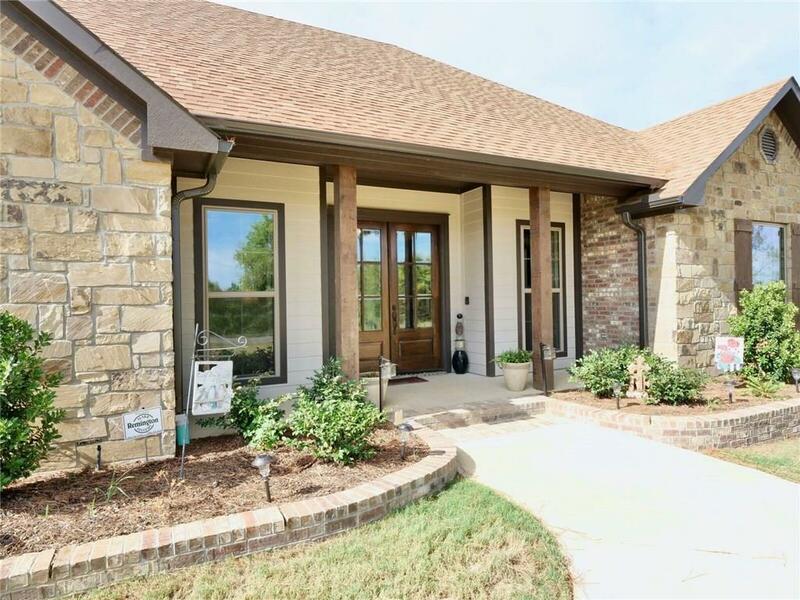 4 bedroom 2 full bath, 1 half bath with side-entry garage. Open- split floor plan with massive kitchen offering island, granite counter tops, under mount sink, lots of cabinets and pullout drawers. Living with fireplace ans wall full of windows. Additional guest rooms share second full bath with double sinks. Master bedroom with tray ceilings and attached master bath offering large soaking tub, walk-in shower and double sinks. 4th bedroom can double as fantastic home office. Gorgeous moldings throughout. 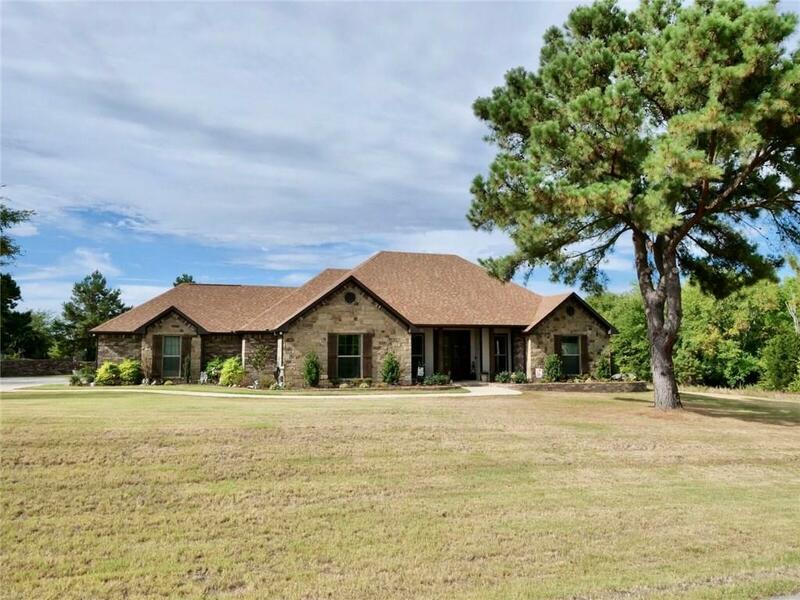 Home located on almost full acre lot in Lindale ISD. 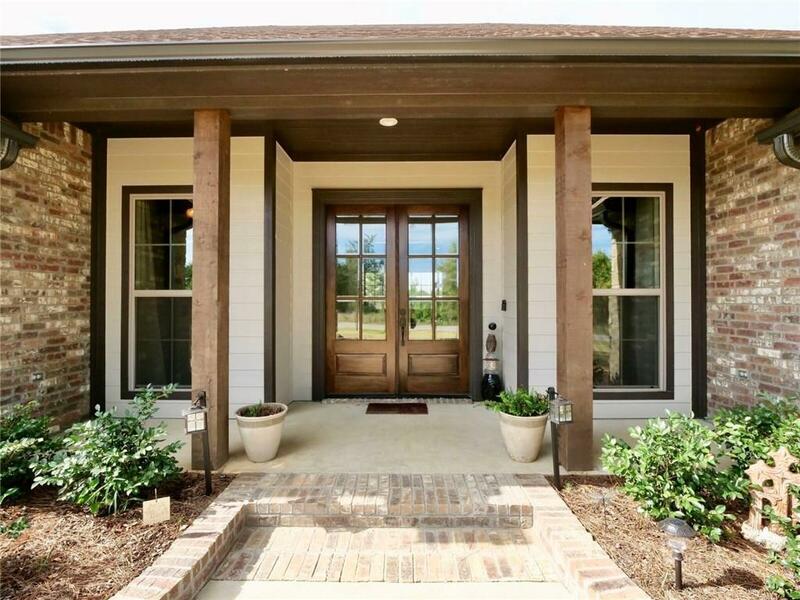 Offered by Rodney Edwards of Century 21 First Group.